Thigh fat is a major struggle for most women. Not only is it a confidence-killer, it can also make it hard to find pants that fit. While diet and exercise can help slim down your thighs, however, some fat are resistant to even the most rigorous exercise routine. The good news you can combine your active lifestyle with safe non-invasive treatments that have the ability to spot reduce fat on the thighs without harming the skin or structures around it. Learn how Vanquish ME, Coolsculpting and Z Lipo combined with Exilis and Acoustic Shockwave Therapy can help you achieve effective fat reduction on the thighs. BTL Vanquish ME is one of the effective devices for reducing fat on the thighs. 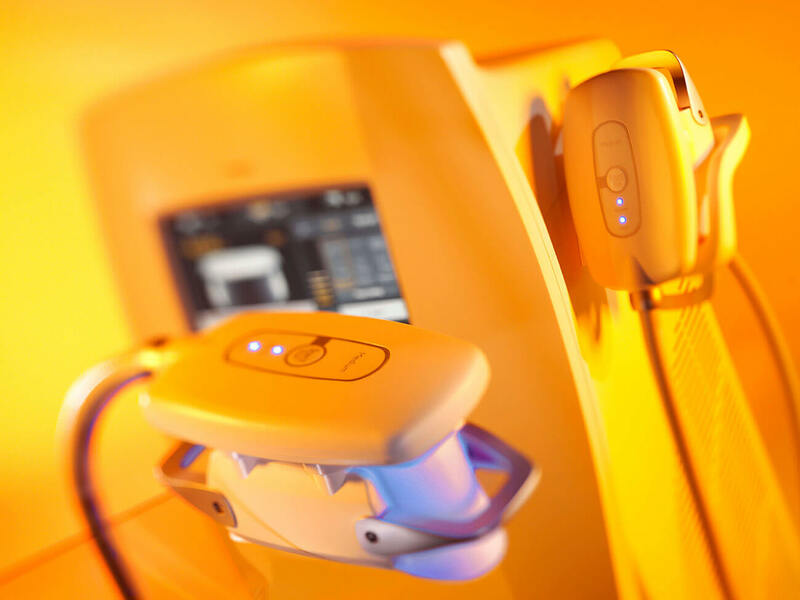 Using FDA-cleared selective radiofrequency waves, Vanquish ME heats fat cells which causes them to break down naturally without harming the surrounding tissue. The ‘touch-less’ Flex applicator have two panels that goes on the left and right side of the thigh area that will be treated, meaning the device treats the area without even touching your skin. Vanquish non-invasive fat reduction is virtually pain-free and requires no downtime. Coolsculpting, otherwise known as Cryolipolysis, is a fat freeze procedure that works to remove excess fat cells under the skin. The safe fat removal method works by suctioning at least 2 cm of fat bulge inside the applicator. 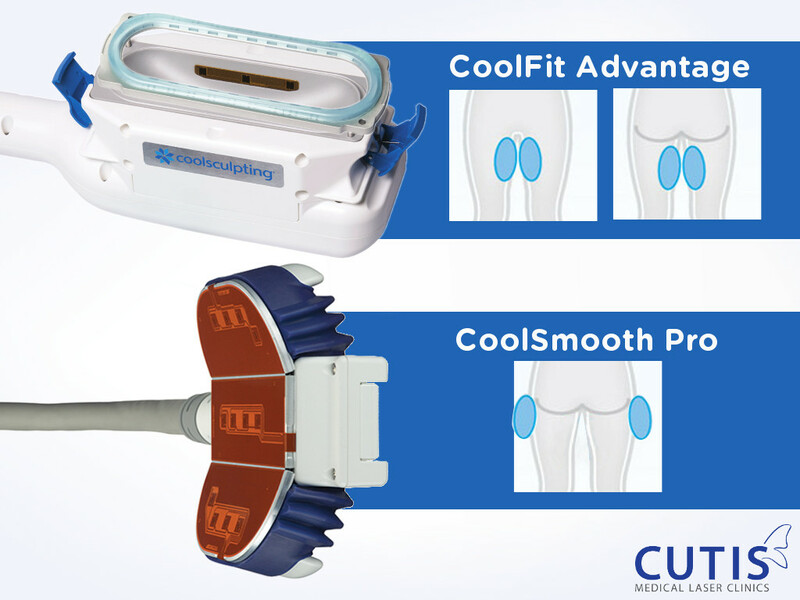 The Coolfit Advantage applicator is specially made for inner thighs while a non-suction applicator called CoolSmooth Pro is used for the outer thighs. These applicators have built-in cooling panels that cools down the fat to freezing temperatures, essentially causing the cells to crystallize and break down. The body then naturally eliminates the dead fat cells over time. Coolsculpting in Singapore can be used on anyone who have pockets of fat but is not a treatment for obesity. Similarly, Z Lipo also use Cryolipolysis to freeze “pinchable” fat in the thighs that are resistant to diet and exercise. Made from Germany by the original expert of cold therapy, the Z Lipo system provides faster treatment time as the machine come with two applicators that can be used in one session. Another additional benefit of Z Lipo is the pulsed vacuum suction that is programmed into the applicators. The pulse vacuum suction acts like a massage that squeezes the bulge before and after the fat freezing session to further break down the fat cells. High energy radial shock-waves have been scientifically proven to have an impact on the collagen structure and the skin’s connective tissue. It improves blood circulation and stimulates collagen formation making the skin more elastic and firmer. Z Wave and X-Wave cellulite treatments are scientifically-proven to provide vibrations within the connective tissues to create tighter, firmer skin. Z Wave and X-Wave uses acoustic wave therapy to stimulate blood circulation and collagen production for healthier looking skin. The process is painless and can help smooth the dimpled appearance associated with cellulite. Also, clinical studies has shown that combining Cryolipolysis with Z Wave resulted in a rapid fat reduction. The subjects were treated with the 4 weekly Z Wave treatments had over twice the fat reduction during each week, from week 1 to week 4, when compared with the subjects with initial massage only. If you have areas of localized fat on your body, such as your thighs, then Exilis Ultra 360 can also help. The combined radiofrequency and ultrasound technology not only offers fat removal but also skin tightening benefits. While not a replacement for surgery, Exilis Ultra 360 is able to contour the body for thighs that look slimmer, firmer and more appealing. During the procedure, radiofrequency and ultrasound energy is used to heat deeper fat layer without harming the skin thanks to the built-in cooling mechanism of the big applicator. This heat energy causes the fat cells to shrink while also contracting the skin. The treatment also stimulates new collagen production. For stubborn fat on the thighs that are resistant to diet and exercise, these non-invasive technologies have been found to slim and firm up the thigh area for legs that you’ll be proud to display to the world. While having one session of these treatments may give you results, a combination of treatments is best to achieve fat reduction, cellulite-reducing, and skin-tightening benefits. To schedule your appointment and learn more about any of the treatment options mentioned, contact our aesthetic doctor, Dr. Sylvia Ramirez, at the Cutis Laser Clinics in Singapore.